I have good news for you all. 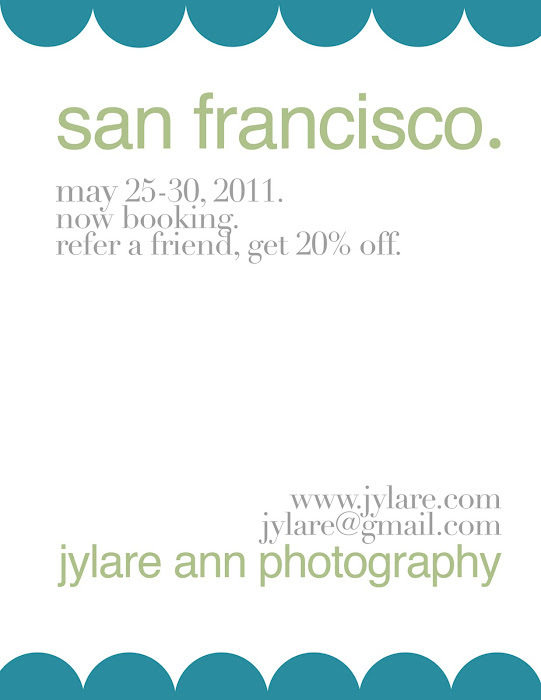 Jylare will be doing a few sessions away from home in the next few months! If you live in San Francisco, she'll be in the area in May. If you are a Utah native, she'll be here in June + July. 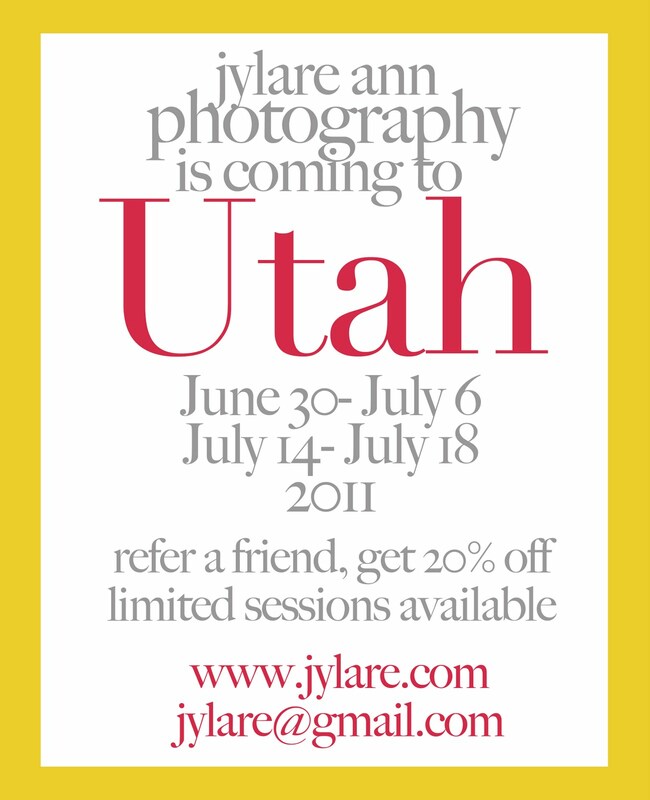 She has included a little extra in these sessions- refer a friend, get 20% off! Make sure to call and schedule ASAP.